Is it Illegal to Use a Smartphone as a Satnav or Music Player While Driving? Recent press reports have highlighted considerable confusion and uncertainty in relation to the law governing the use of mobile phones while driving. One well-known journalist has even suggested that there are secret rules which the government won’t share. So what are the rules for drivers using a smartphone as a satnav or to play music? On 1st December 2003, it became an offence to drive a vehicle while using a hand-held mobile telephone or any device which performs an interactive communication function. For offences committed on or after 1st March 2017, the penalty is six points plus either a Fixed Penalty of £200 or a variable fine if the case goes to Court. A driver who reaches twelve penalty points is at risk of a driving ban under the totting up system. A mobile phone or other device is treated as hand-held if it is , or must be, held at some point during the course of making or receiving a call or performing any other interactive communication function. Interactive communication function includes sending or receiving texts, emails, photos and videos, and accessing the internet. Is it legal to use a hand-held smartphone as a satnav or to play music while driving? Unfortunately, the legislation provides no definitive answer and there is as yet no binding case law to provide drivers with additional guidance. So is it an offence simply to touch a hand-held device while driving? What about using it as a satnav or to listen to music? Neither the Highway Code (rules 149 and 150), nor the Government website provide any further explanation for motorists. Even the Legal Guidance provided by the Crown Prosecution Service (CPS) for its own staff acknowledges that the meaning of use has been a subject of debate, yet provides no specific guidance in relation to these questions. However, the CPS guidance does make clear that “In cases where there is doubt about the nature of the device, or dispute about whether it is being used” the prosecution may prefer an alternative offence of “driving in such a position that (the driver) cannot have proper control of the vehicle or have a full view of the road and traffic ahead”. The CPS guidance is very important for two reasons. Firstly, because conviction for the alternative offence carries only three points, as opposed to six for the specific mobile phone offence. Secondly, it hints that in cases involving use of hand-held smartphones as for example satnavs or music players the Prosecution may well accept a guilty plea to the alternative offence which carries fewer points. Of course when the legislation was originally passed in 2003, smartphones such as iPhones were unknown. In fact iPhones were not announced until January 2007 and were not released on the UK market until November that year. Although vehicle satnavs were already around in 2003, they are not mentioned in the legislation and were not specifically outlawed. Some lawyers would argue that if the lawmakers had intended specifically to outlaw the use of hand-held satnavs, they could have done so, but chose not to. However, you should note that if your phone downloads a map or other data from the internet while you are using it as a satnav and driving, that would certainly count as using a mobile phone while driving, unless you are hands-free. The same would apply to, for example, downloading a song from the net while using your phone as a music player. Unless and until the law is clarified, the safest course for drivers is to assume that the ban on hand-held mobile phones includes both holding and touching them, even if using them as satnavs or music players. If you are issued with a Fixed Penalty or Summons for using a mobile phone while driving, it’s always worth taking legal advice before accepting the Fixed Penalty or pleading guilty, as the law is not entirely clear and so you may have a defence. We can check the evidence and explain your options. 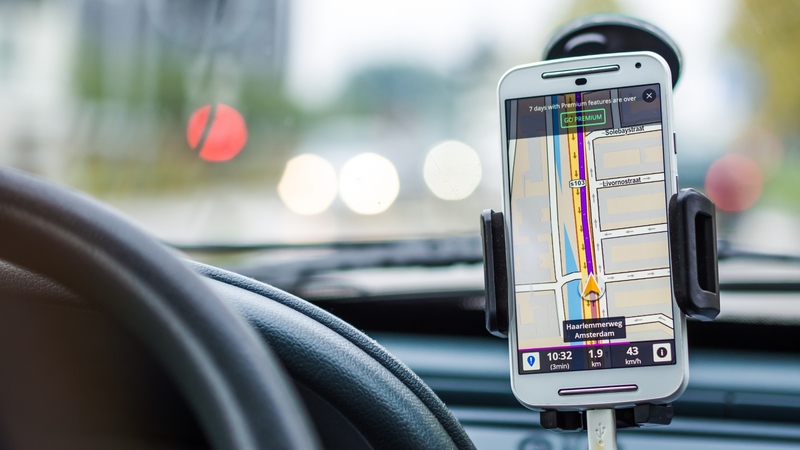 If you are at risk of conviction for using a hand-held phone while driving, but were in fact using the device as a satnav or music player, you or your lawyer could consider offering the CPS a guilty plea to the alternative offence. If accepted, this would result in fewer points and so could avoid the risk of a ban. Before making an offer, you or your lawyer should carefully assess the strength or otherwise of the prosecution case, and whether or not conviction is likely. An experienced lawyer would be able to advise on these factors and if appropriate conduct the negotiation on your behalf.